Are you an avid news junkie who likes to stay on top of every major domestic and international breaking stories? 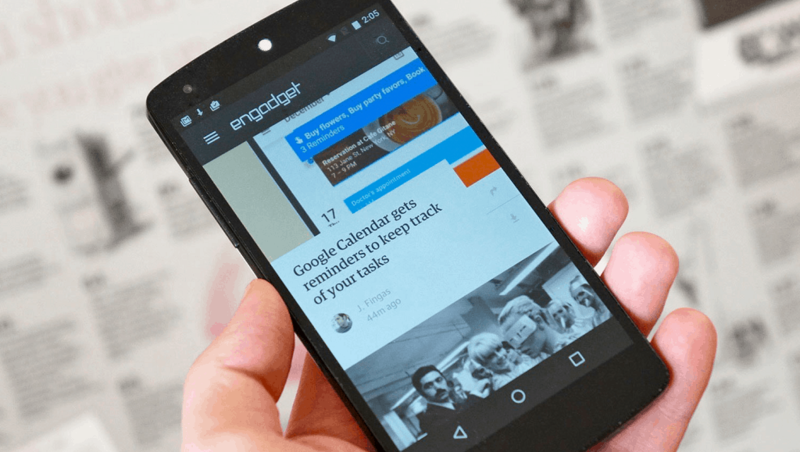 Here’s a list of the best news apps for Android devices that will make you quit the printed press for good. From finding a location on the maps to your nearest gas station to looking up an establishment in the yellow pages – there are several strenuous tasks that the internet has simply made obsolete. While newspapers aren’t going away just yet, the industry has been a steady decline for more than a decade as pixels replace ink in every corner of the world. Albeit there is a certain nostalgia that makes the printed press still worthy of a read, the physical aspect just isn’t convenient enough to keep up with the news stories that are developing each minute. Since competing with online news websites is a game that the printed press will always lose, you can already find major publications creating their very own news apps for Android. In a time where even the President of the United States uses Twitter as their official communications channel, you have quicker access to the latest news stories on social media than you’d have with your morning issue of The New York Times. Not only can you find most of the cable news channels online for free, but there are literally dozens of news apps for Android that bring the latest stories to you in an instant. Not only do most of these news apps bring you the latest updates on domestic and international breaking news, but most of them are free. This sure beats paying for a printed newspaper or subscribing to their online publication service. Moreover, you get more than just one perspective on the stories when your news comes from multiple sources, which is something every newsreader would appreciate. With millions of apps at its disposal, it would be unnatural to not be confused by which news apps for Android you should download. While patrons always have the choice to download the digital version of their favorite publication in the form of the official app, there are plenty of third-party news apps for Android that are worth checking out. 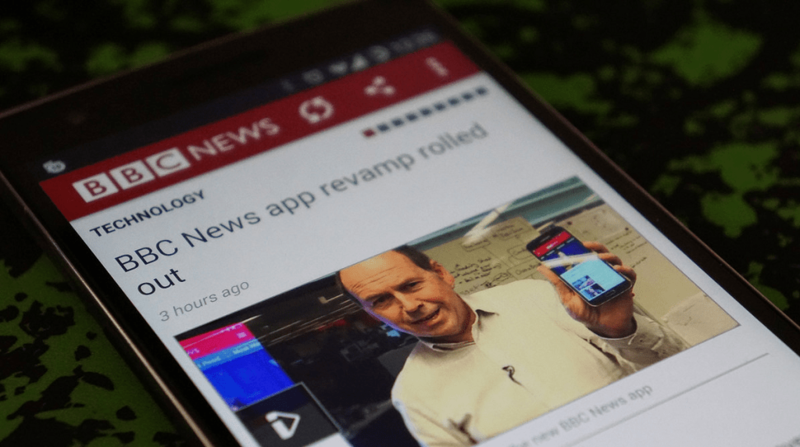 To feed your heart and soul with the best and unbiased news reports every day, here’s a list of the best Android news apps you should get right now. A reputed printed publication in the UK for decades, The Guardian is already a highly recognizable name in the world of global news. The Guardian makes it to the list of the best news apps for Android for not only being free but also offering a wide range of news stories on politics, foreign affairs, tech developments and more. Apart from a fully customizable layout that brings you the preferred stories right to your fingers, the app also supports offline reading for when you’re off the grid. 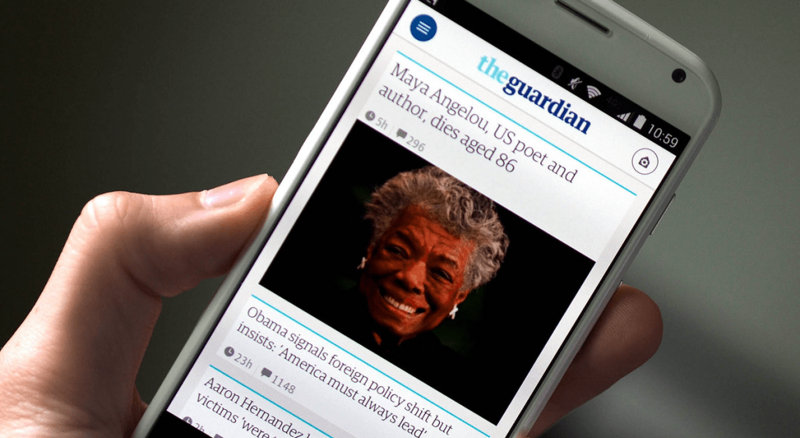 Moreover, the GuardianWitness service enables you to be a contributor to The Guardian right from your Android device. Popularly regarded as one of the most unbiased sources of news you can find on the internet, the Associated Press mobile app is ideal for all U.S. related news. While the app also vastly covers world news and foreign policy, it is known for its hard-hitting stories on American politics. The world stories are classified by continents rather than countries, so you can find the latest developing stories in Europe, Latin America, Asia-Pacific and Africa in one sweep. Some of the intrusive ads may be off-putting, but it helps keep the Associated Press app completely free of charge and subscription fees. Founded almost a century ago and a pioneer in news broadcasting across all mediums across the world, BBC News offers a global perspective on what goes around the world. Being a well-established news service, you not only get minute-by-minute updates on the developing stories, but thousands of live coverage videos and action reports. Not only does BBC News offer a global perspective, but also the news that hits close to home with regional content as well. Apart from full access to the media coverage by BBC correspondents, you also get the live version of BBC World Service Radio along with the app for free. Google is always known to keep things fair and does so even when bringing you developing news stories from all over. 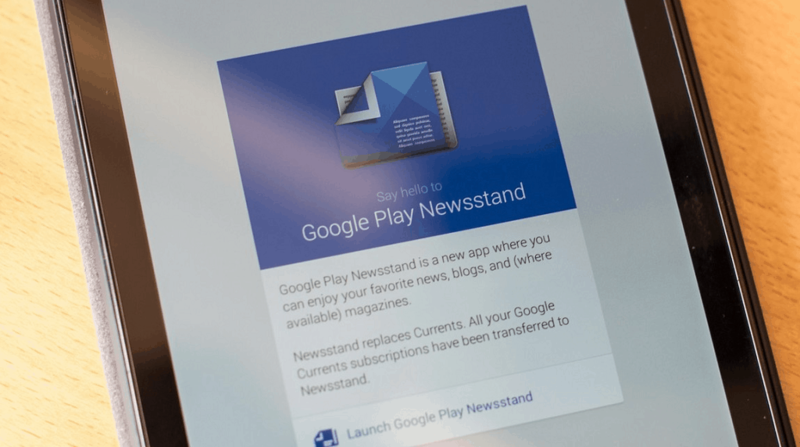 Designed to be a news reader app that is personalized for your interests, Google Play Newsstand is a one-stop destination for a plethora of news sources, online magazines, and interesting topics. Fetching free and premium content from thousands of credible sources such as the Vox, The New York Times, The Wall Street Journal, GQ, Vanity Fair and many more, you get the news that you’re interested in the most, while being able to discover new stories all the time. 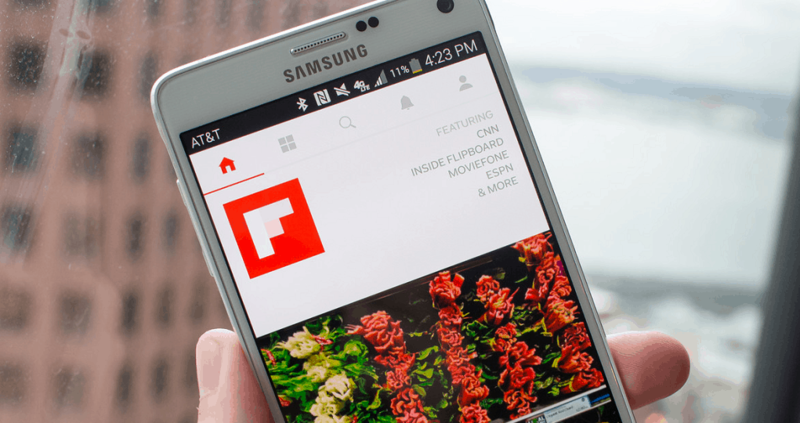 Most of you remember Flipboard as the news app that is shoved down your throat by Samsung as a bloatware app, but the news app does have its merits. Flipboard is designed on a platform to not only bring relevant and personalized stories to users not just based on news, but also all kinds of categories such as technology, travel, productivity, food and more. Simply download the app, pick your topics of interest and let Flipboard create a personalized magazine for you that is automatically refreshed. The best part about the news stories on Flipboard is that it can be localized to 25 different regions so that the stories you read are always relevant to you. 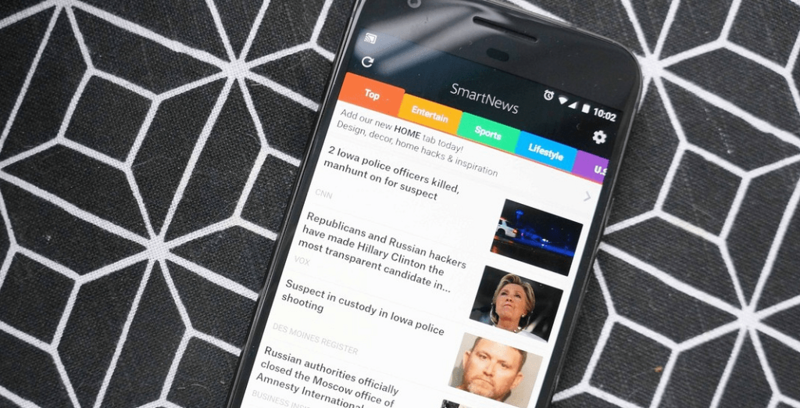 Possibly the most dedicated news apps for Android, SmartNews is an award-winning service that is dedicated to bringing you the latest and greatest news stories. Churning out millions of readers across more than 100 countries, SmartNews covers the latest news stories from all of the top publications such as Huffington Post, NBC News, USA Today, TIME, TechCrunch and many more. Designed to be easy on the eyes for reading and with a built in offline-mode to help you load content fast and save it for reading later, SmartNews also comes with high customizability to not only sort out the “fake news” media, but also add your personally recommended blogs and websites to the list. 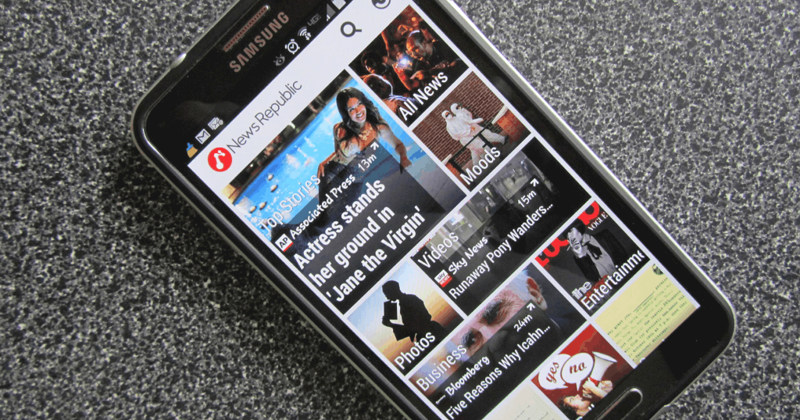 The holy grail for infomaniacs all over the world, News Republic is essentially a news app for Android on steroids. Compiling breaking news and hard-hitting headlines from more than 2500 sources all over the internet, News Republic brings only the most trustworthy and verifiable sources of news broadcasting. Not only can you personalize your topics of interest for the everyday read, but the app is designed to learn your reading patterns and subjects of interest to bring you the most relevant news every time. From trending headlines on politics and world news, to in-depth analysis of complicated policies from experts, News Republic offers everything in one place. 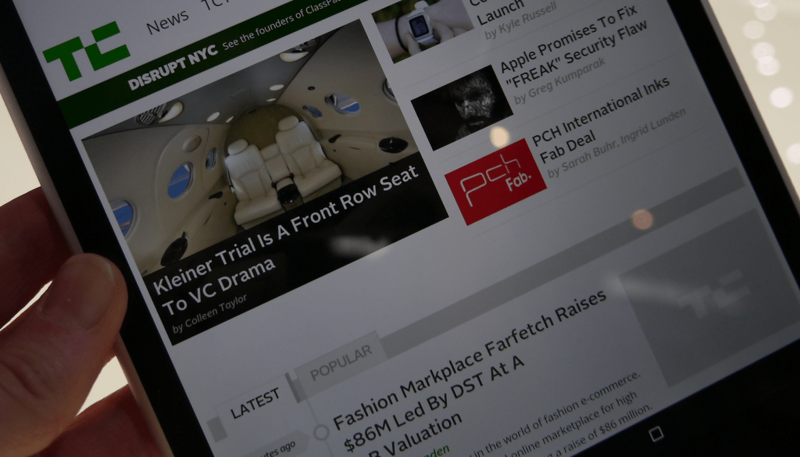 Started more than two decades ago as a technology blog, TechCrunch is today the largest platform for not only tech news, but so much more. From news on the latest gadgets hitting the market, upcoming technology being developed, and the latest in the world of mobile apps and games, TechCrunch is also known for highlighting some of the most innovative startups from around the world. The customizable news feed gives you the latest discoveries in the technology world in the form of a Trending list along with CrunchBase integration, along with TechTweets that bring the latest social media buzz on technology right to your sphone. If you’re looking for something that resembles the way Flipboard compiles all the top news in a single place, Appy Geek is the tech news equivalent you’ll love. Built to learn your browsing habits and create a personalized reading list based on topics that you love, enjoy the most relevant sources with images and videos for the perfect experience. The innovative Tag Nav navigation system allows you to explore related topics in an instant, while the highly customizable app allows you to even add custom RSS news feeds you’re your favorite websites to your personal list right away. A paradise for every gadget geek out there, Engadget has been bringing the best news, reviews, and research from the world of consumer tech for more than a decade. With the Engadget app, you get a daily supply of the latest technology news and the science behind it, along with all news and rumors related to your favorite smartphones and devices. Apart from textual news and reviews, you get a library of videos highlighting the coolest unboxing, hands-on coverage and product review videos from across the globe. Integrated with a customizable reading list feature, the app allows you to include your topics of interest from the tech world and enjoy a tailored feed of news stories and more. Whether you’re a die-hard basketball fan, love football, or live for cricket, 365Scores is your one stop shop to get all your live action scores right away. Covering more than 1000 competitions including the NBA, NFL, NCAA, Wimbledon, ICC, Champions League and many more, the app support 10 different sports in total. Apart from live score, 365Scores also comes with a built-in TV guide to help you find the right channel for watching the live game. With real-time scores at your fingertips with quick push notifications, and videos for all the crucial moments during the game, you’ll never be out of the sporting spirit with this sports news app. If you have little interest in American sports and prefer the “real football” of Europe and the rest of the world, BBC Sport is the app for you. More than just live scores, this sports news app for Android brings you all the latest developments from the world of sports and detailed analysis from the top experts in the field. BBC Sport comes with a “My Sport” section that is dedicated to you and your favorite sports, with a detailed list of personalized sports notifications from scorecards and fixtures to news on your favorite team. With Chromecast support built into the app, you can also enjoy the available media on the big screen right away. Whether you’re a movie buff who always likes to have their facts straight, or following what’s up with a particular celebrity is just your guilty pleasure, TMZ is the way to do it. The app version of this popular celebrity news channel comes with 24/7 updates on the movie industry and even highlights a bunch of exclusive videos and galleries. The mobile app gives you access to TMZ Live, TMZ Sports, and clips from TMZ TV as well, so you’re always well-informed on the latest celebrity gossip. With your personal feed that can be customized to follow events, celebs and shows, always be at the front of entertainment news with this app. There’s no shame in feeding your guilty pleasures and being well-informed in the art of pop culture. 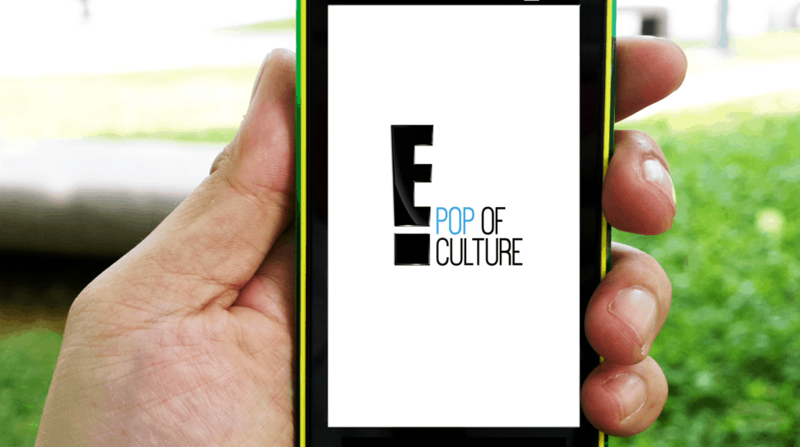 From finding out the latest shenanigans of the Kardashians to seeing what the WWE Divas are up to this week, E! News is the ultimate entertainment app to keep you updated on all the non-essentials. From some of the coolest behind the scenes extras clips from your favorite shows to watching the live stream of shows like “Live from E!” and “Live From the Red Carpet”, get your fashion advice from the experts of the industry with the E! Style Collective. 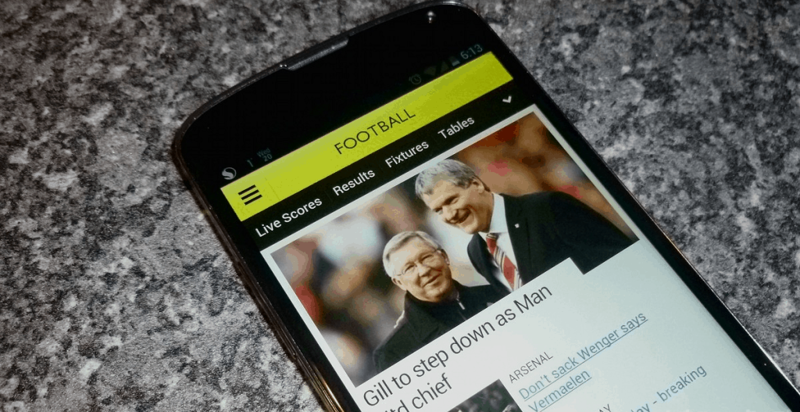 Have you turned your Android device into the chief source of daily stories and breaking news already? Have we missed out on any of the amazing news apps for Android that deserves to be on the list? Don’t hesitate from pointing out what we missed in the comments section below, or start a new discussion on the Updato Forum.